Formula One nerds were all a-twittering this weekend over a report from Iranian state news agency IRNA saying that the Middle Eastern dictatorship has plans to construct a “Formula 1 circuit.” But here’s the thing. 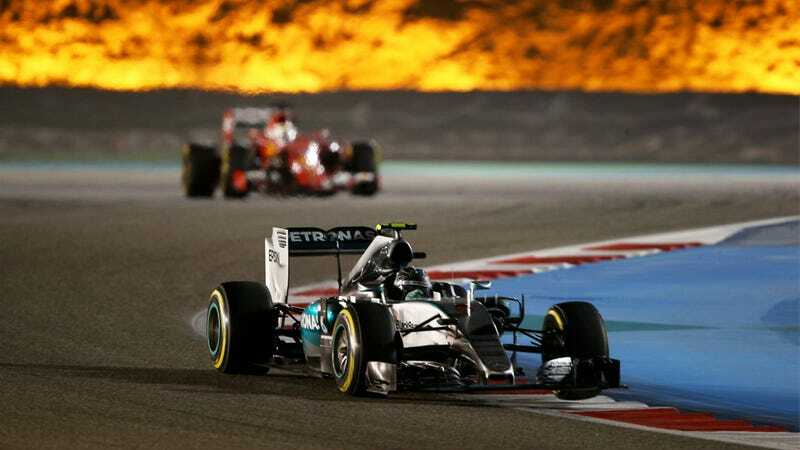 Iran can build an F1-capable circuit all they want, but it ain’t happening anytime soon. And no, it’s not because Iran is some Middle Eastern belligerent, hellbent on oppressing its populace under the boot heel of a crushing dictatorship. F1, and its muppet supremo Bernie Ecclestone in particular, actually seems to have a soft spot for oppressive, belligerent dictatorships. In fact, Bernie loves them so much, he’ll call them “stupid” for daring to host one of his races. It’s not that a race in notoriously prudish Iran probably wouldn’t allow grid girls, or that Lewis Hamilton’s hair-plugs-and-mohawk combo probably wouldn’t fly, or that the country might randomly seize some equipment. It’s that the country probably doesn’t have the money for it. Not that the country probably couldn’t find the money, somewhere, if it dug around in the couch cushions. But in a country whose paranoid leadership is so worried about another revolution that it has a separate military just to protect the regime, and another one just to protect the country itself, it’s hard to justify spending the exorbitant amounts of money needed to host an F1 race when you’ve got a standing unemployment rate of 20%. And in Ecclestone’s world, the only thing sacred is cash. The F1 calendar is littered with the ghosts of Grand Prix of even the wealthiest of countries that couldn’t get the money together, and the faded dreams of struggling dictatorships that wanted to get the money together. Only those who have enough money to fill an Ecclestone’s bed with cash need apply.